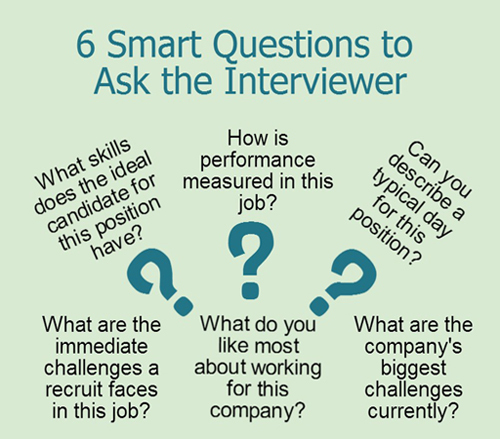 The right interview question to ask an employer will communicate your knowledge of, and interest in, the company and the job opportunity. Good questions about the management style in the company provide you with valuable knowledge to assess if your potential manager is likely to suit you. These type of questions to ask the interviewer demonstrate your strategic understanding of the job in its entire context. This is sure to impress the interviewer. "Please describe the company's management style and the sort of employee who fits in well with it?" "How is this position perceived by upper management in the company?" "Can you describe the reporting structure for this position?" "Can you tell me about the person I will be reporting to?" "How does the management philosophy of this company differ from your competitors?" "How will my performance be measured and by whom?" If you are being interviewed by your potential direct manager you can ask these questions. "What are the most important things you look for in a member of your team or department?" "How do you communicate with your staff?" "What is your ideal employee like?" "How do you measure success on the job?" "What is your approach to solving problems?" "What happens when your staff make mistakes?" "How would you describe your own management style?" "How do you like your subordinates to communicate with you?" "Can you describe the type of employee who works well with you?" These questions all provide insight into the management style of your potential manager. Why are these good questions to ask in an interview? You need to be clear on what sort of expectations the manager has and whether they suit you. Your time at the company will be spent working for a specific manager, it is important that you find out what this involves and that you are comfortable with it. 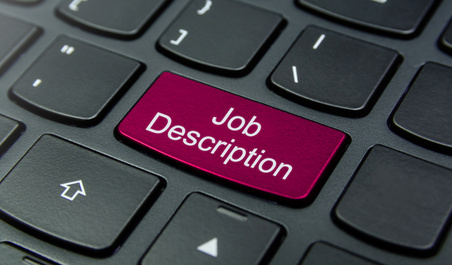 This is also an opportunity to find out about the team or department the position falls within. "Can you tell me about the employees who work in this department?" "What are this department's goals over the next year?" "Are there any weaknesses in the department that are being worked on?" These top 3 questions to ask an employer at the end of an interview will ensure you leave behind the right impression. Go this list of good interview questions to ask about the company to find more excellent questions to ask the interviewer. 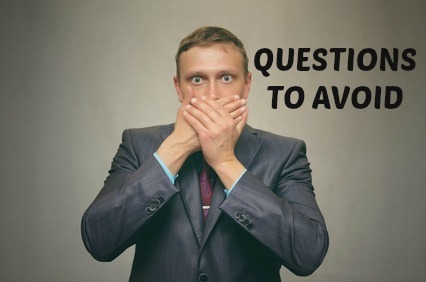 Which interview question to ask is a critical decision. Prepare questions that help you assess how you will fit in with the current management style and that clearly highlight your communication skills, interest and insight to the interviewer. View the 5 common interview questions you will face in your job interview.